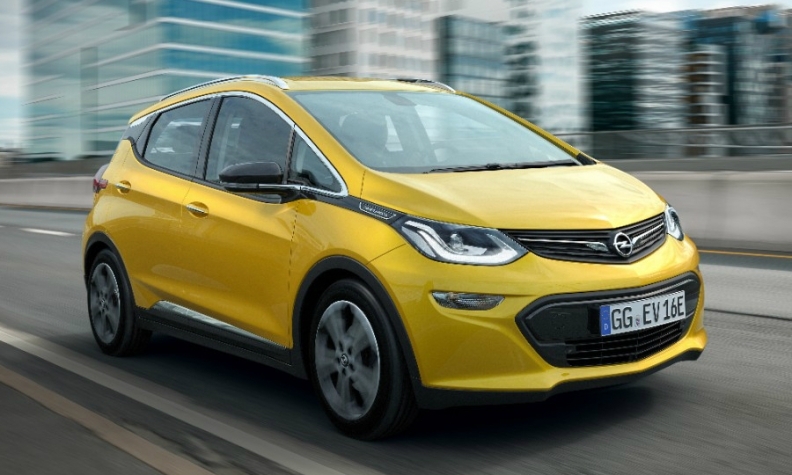 Opel is launching its Ampera-e battery powered car amid a sluggish market for EVs. BERLIN -- Chancellor Angela Merkel said Germany will likely miss the government's target of bringing 1 million electric cars onto the roads by the end of the decade. "As it looks at the moment, we will not achieve this goal," Merkel told fellow lawmakers of her center-right CDU/CSU bloc on Monday. She added, however, that a mass market breakthrough of demand for battery-powered cars could come very abruptly, as was the case with other innovations such as the introduction of the smart phone. Sales of EVs have remained sluggish in Germany despite discounts introduced last year and granted to buyers of green cars. In 2016, there were less than 80,000 electric cars on German roads. Experts say German consumers remain reluctant to buy EVs because of relatively high prices, limited driving range and restrictions due to the low number of charging stations. In 2016, there were some 7,400 charging points in Europe's most populous country, according to electricity industry group BDEW. The long time it takes to charge batteries is another disadvantage of electric cars compared to conventional cars with gasoline tanks that can be filled up in seconds.